Unlike RAW, the SmackDown writers wasted no time getting ready for WWE Capitol Punishment 2011. SmackDown has a new number one contender who will likely be challenging Randy Orton for the WWE world heavyweight title on June 19. 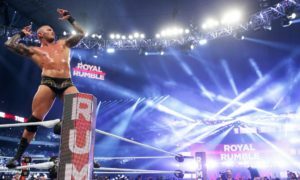 If you were hoping that Randy Orton vs. Christian would continue their fantastic series of matches at Capitol Punishment well, then you will be disappointed. As things stand now there will be no Christian vs. Randy Orton rematch. A Triple Threat Match to determine the number one contender to Randy Orton produced a familiar foe for The Viper. The SmackDown tapings started off as they do every week, with a bunch of WWE superstars arguing about the next WWE world heavyweight title shot. Mark Henry, Christian, and Sheamus all laid claim to the shot which is ironic since Christian lost at Over the Limit 2011 and Sheamus nor Henry even had a match. Heck, if anyone really does deserve a title shot at the champion its Wade Barrett and he wasn’t even involved! Of course Teddy Long acquiesced to the challengers and made a Triple Threat Match for the number one contender with the three whiners later in the show. According to numerous reports Sheamus won the match and an opportunity to wrestle Randy Orton at Capitol Punishment for the WWE world heavyweight title. To make matters worse for you Christian fans, Christian took the pin here. It appears that all of these losses will result in a heel turn and a Christian vs. Orton match at SummerSlam, or at least one can hope right? Sheamus vs. Randy Orton is certainly not a fresh match. As a matter of a fact Randy Orton was Sheamus’ first pay per view opponent after Sheamus won the WWE championship from Cena at TLC. Sheamus vs. Randy Orton for the WWE championship was also featured at last SummerSlam 2010. I found the matches a bit disappointing. It just seemed like something was off and they didn’t have good chemistry together. Orton finally won the rivalry at Hell in a Cell 2010. While things could change and they usually do in the WWE, Sheamus vs. Randy Orton is the WWE world heavyweight title match for the next pay per view. The good news here is that it could be the start of an upswing for Sheamus. Sheamus took the WWE storm in 2009 coming to RAW and defeating John Cena for the WWE championship. I became a big fan and it appeared that the WWE finally got it right in terms of elevating a young star the right way. Sheamus’ big push came to a disappointing end right after Hell in a Cell. Numerous reports cited a call by WWE executive producer Kevin Dunn in 2010 to kill Sheamus’ push as the reason for the descend. Dunn was not a big fan of the Celtic Warrior. I hope that this is the start of a new chapter for Sheamus, although it looks like that Sheamus is nothing more than a holding place for Orton before he continues his rivalry with Christian again in a month or two. On RAW there are all kinds of rumors about a John Cena vs. CM Punk WWE championship match. The way RAW ended with Punk being pinned doesn’t bode well for that. 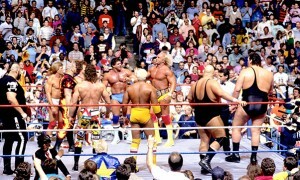 If the rumors of Punk leaving are true, a series ending in a Loser Leaves Town Match is a possibility. Personally, I think they should hot shot the Alberto Del Rio vs. Cena program and go with R-Truth vs. Cena for SummerSlam 2011. At press time this is the only match that appears to be set for the next pay per view. With only a little over three weeks to go I’d expect a bunch of matches to come out of next week’s RAW and SmackDown broadcasts. Check back here at the Camel Clutch Blog for the latest news about the Capitol Punishment card. 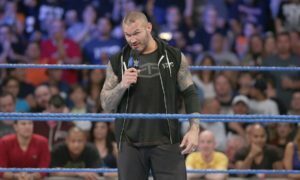 Check out the full report of SmackDown spoilers at WrestleChat.net.